No cuts or incisions Purely injections! 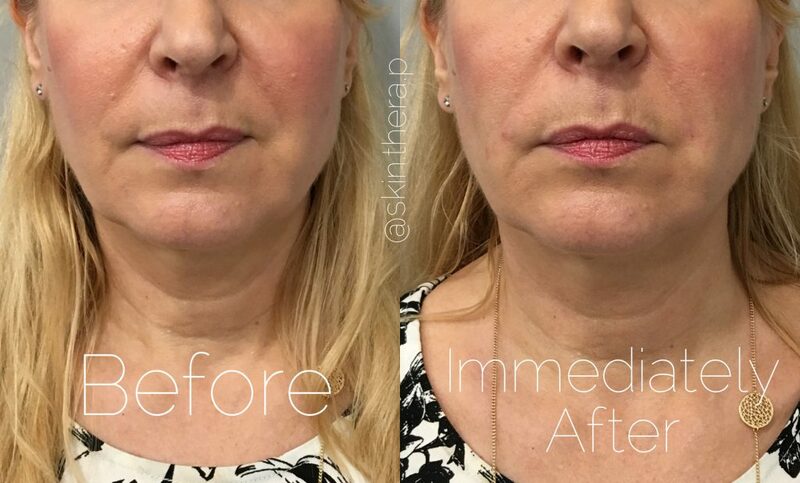 Non-Invasive Thread Lift in NYC and Scarsdale can make you look younger without the knife! A beautiful and healthy face has a "V-shape". With the aging of tissues and the action of gravity, this "V-shape" diminishes or inverts. 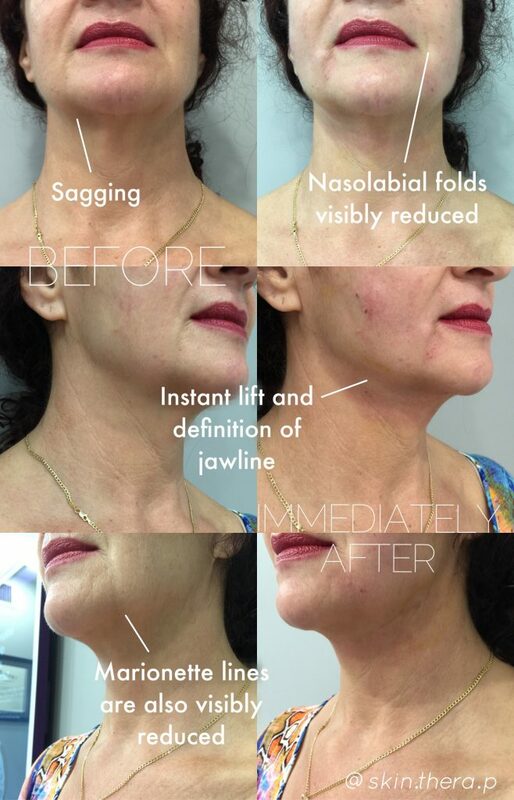 The idea behind the NovaThread technique is to either create a scaffolding in order to support the tissues and keep them in the "V-shape", or where necessary to delicately lift the tissues and reposition the skin to recreate the “V-shape” where it’s been lost. 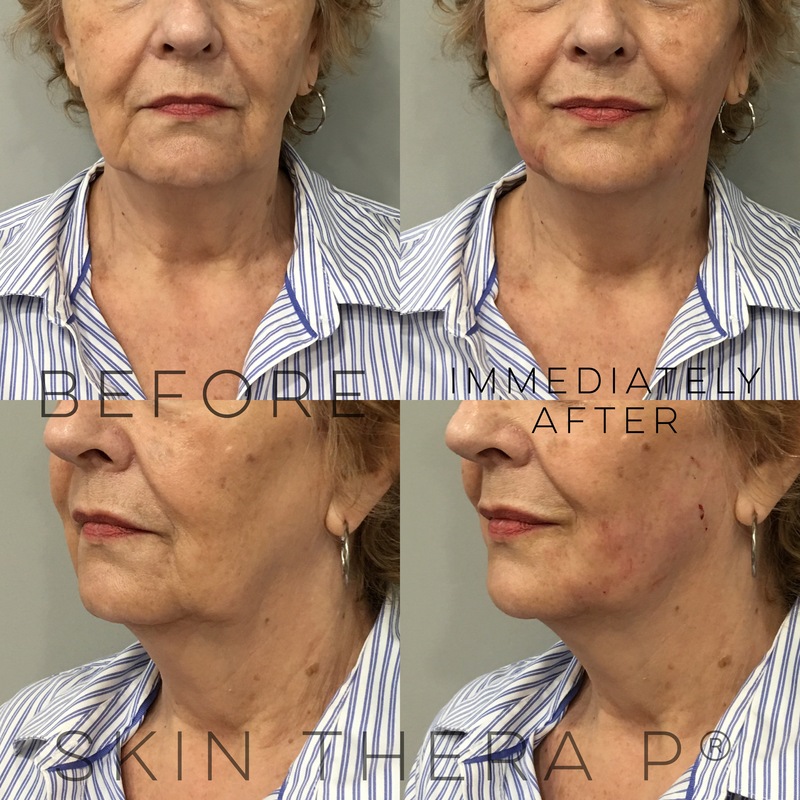 NovaThreads are fully dissolvable and is the critical feature that allows Dr. Greenberg to perform this non-surgical face lift procedure. NovaThreads are needles that are pre-loaded with a PDO thread. The PDO thread remains under the skin. During the 4 to 6 months needed to fully absorb the PDO suture, your skin is also repairing itself around it! It is "controlled healing" happening right underneath the skin! In medical terms, "Selective Inflammatory Response” is the principle behind a lot of aesthetic procedures (such as Chemical Peels & Microneedling). Our skin is very good at repairing itself, and by inserting NovaThreads we make it ‘heal’ itself by creating new collagen, naturally! The threads cause controlled stimulation of collagen in the dermis resulting in gradual firming. 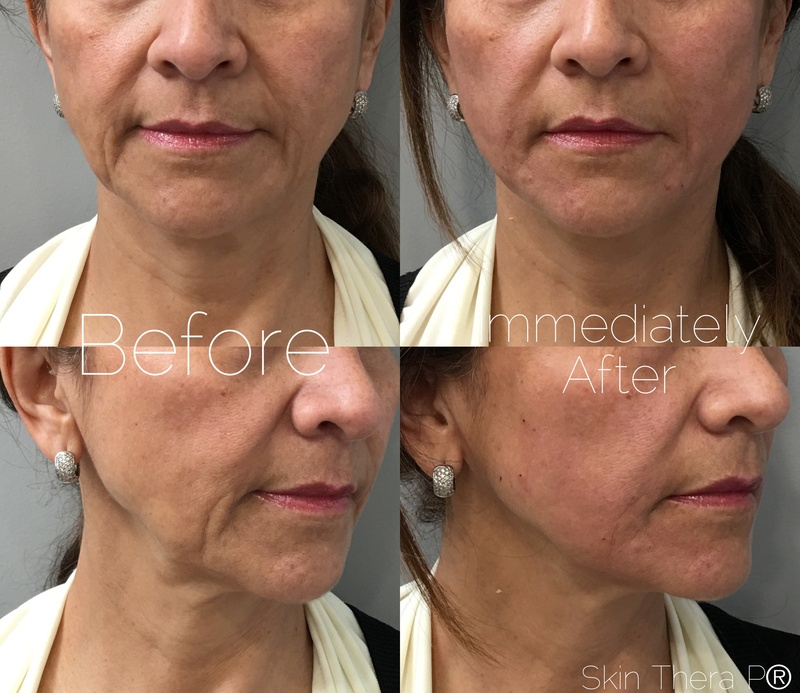 NovaThreads works with other procedures such as Botox and Fillers to address a patient’s entire facial structure and can also be combined with other treatments for skin tightening, remove sun spots or other conditions! For more information on combining NovaThreads with other Anti-Aging services, make an appointment for a free consultation with Dr. Greenberg. Is thread lifting right for me? 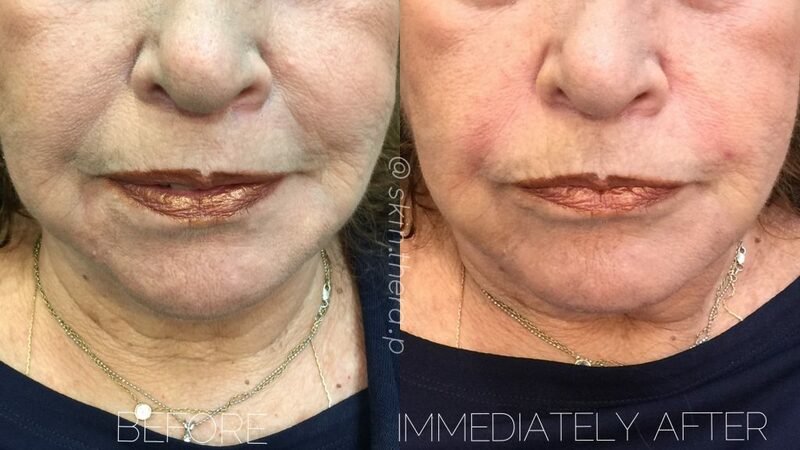 This is not the same as a surgical facelift, but it will provide a modest firming and tightening that will give you immediate results as well as improving results over several weeks. The best candidate has mild signs of aging and is looking for a non-surgical, minimal downtime procedure that will give more subtle lifting. How do I maximize the effect? Thread lift can be repeated every 6 – 12 months after the first treatment. Thread lifting is often combined with the many other procedures we offer to maximize results. We often combine with fillers for lost volume and to reduce wrinkles, Ultherapy to improve skin laxity and tighten the skin, lasers for skin damage, as well as Botox and Dysport to help with lines in the upper face. Results can last from 6 – 18 months. How long the treatment lasts can depend on many factors including the severity of laxity, number of threads used, and the thickness of skin as well as how much firming occurs after the lift. How do NovaThreads differ from other “thread lifts” that have come and gone? Earlier, thread lifts were done using threads that did not last long. Also, they had to be removed. PDO (Polydioxanone) threads are now available in the US. These threads have barbs and characteristics that make them perfect for face lifting procedures. The new absorbable threads allow us to perform lifts with absorbable sutures that last months, similar to other cosmetic procedures like fillers and Botox that need to be repeated to maintain results. How do I find out more about NovaThreads? You can visit our Contact Us page and submit an inquiry and we will contact you shortly with possible dates for your free consultation with Dr. Greenberg!